The Cocoa Nursery Project is an initiative of the Cocoa Board of Papua New Guinea. 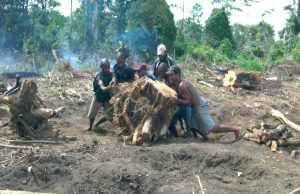 The Project idea came about after Cocoa Board as the lead cocoa agency saw the need and the opportunity to expand and progress the cocoa industry in Papua New Guinea(PNG). After many years of experiencing stagnancy and decline in cocoa production and cocoa export earnings the Project idea and initiative was developed primarily to address two (2) major issues which were mainly associated with impediments like; high infestation level of CPB, existence of old or senile cocoa trees, high incidences of pests and diseases on cocoa trees, nil or unavailability of approved and certified cocoa planting materials, lack of effective extension services and nil or low management input on cocoa blocks by mainly small holder cocoa farmers. As the impediments are being addressed, ultimately the outcome should culminate to cocoa production being increased to fulfill the National Government’s DSP target of 310,000 tonnes by year 2030. It is perceived that the Cocoa Nursery Project will effectively address the impediments and dramatically contribute towards increasing cocoa production as it is a workable strategy that satisfies the real aspiration and interest of cocoa farmers since the demand by farmers for certified cocoa planting materials (especially cocoa clones) is really high throughout all cocoa growing areas in PNG. It is to this regard that the Cocoa Board of PNG resorted to implementing the Cocoa Nursery Project as a way forward to expanding and progressing the cocoa industry in PNG. Upon Project formulation, documentation and submission, the National Government was impressed with the overall key objectives of the project thus allocated to Cocoa Board funds to implement the Cocoa Nursey Project under the 2014 PIP – National Development Budget. In 2015 no funding was allocated by the National Government, however in 2016 funding was appropriated under the National Development (PIP) Budget to continue on with the project. 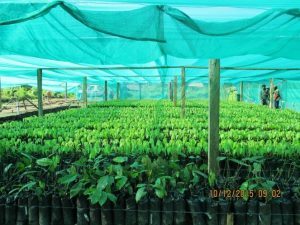 The Nursery Project began back in March 2014 but the first actual cocoa planting took place on 15 April, 2015 by cocoa farmers of Ulagunan Cocoa Farmers Cluster Group in Kokopo District, East New Britain Province(ENBP). The project will be now into its third year of operation beginning 2017. 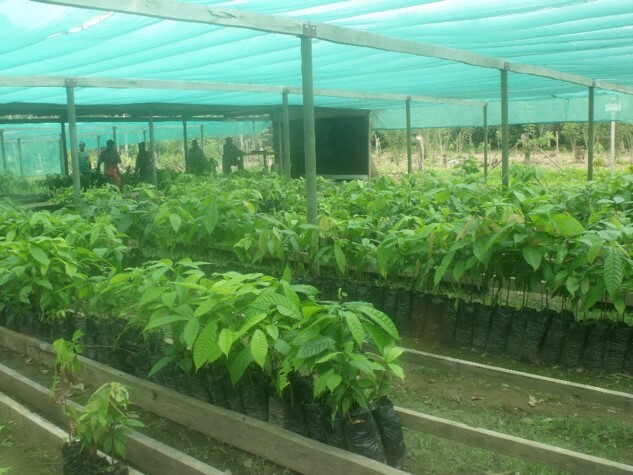 The Cocoa Nursery Project is being managed by appointed staff that are based at the Project Management Unit (PMU) at the Cocoa Board Head Office in Kokopo. The PMU is an independent unit that operates separately from Cocoa Board’s main mandatory function. It is headed by a Senior Project Officer (SPO) with a Project Accountant and a Procurement and Administration Officer. At each participating district, a project manager oversee the day to day operation of the project and report to the Senior Project Officer. In districts like Middle Ramu, Aitape/Lumi and North Bougainville, appointed Cocoa Board officers manage the project as Project Managers engaged on secondment basis. Also in districts like Markham, DAL officers are also engaged on secondment arrangement to oversee the project. In other district project, other skilled personals are recruited as Project Managers to managed the nurseries in the respective areas. The activities of respective Cocoa Nursery Projects are implemented as per the Annual Work Program and Budget. Due to the limited funding received from the National Government and moreover to avoid spreading of resources thinly without achieving much success; partnership arrangement with relevant stockholders is necessary. 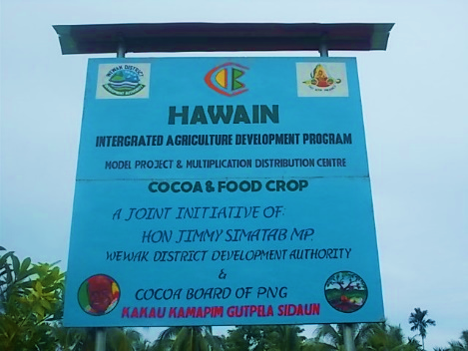 Thus, to achieve maximum results Cocoa Board through the Cocoa Nursery Project opted to partner with willing and committed cocoa growing districts in PNG. Interested districts are required to demonstrate their willingness and commitment by signing a Memorandum Of Agreement(MOA) which is based on a kina for kina funding arrangement. So far in the roll out program, six (6) initial districts have now partnered with Cocoa Board through a counterpart funding arrangement while the other additional six (6) have shown their interest and willingness by putting in their own funds which Cocoa Board through the PMU manages the project in the respective districts as specified in table 1 – 2 below. Hence, there is now a total of twelve (12) cocoa growing districts that have signed MOAs with PNG Cocoa Board. Apart from the twelve (12) major District projects outlined in Table 1 & 2 above, there are also special projects that are being pursued in strategic locations in respective districts as indicated in Table 3 below. 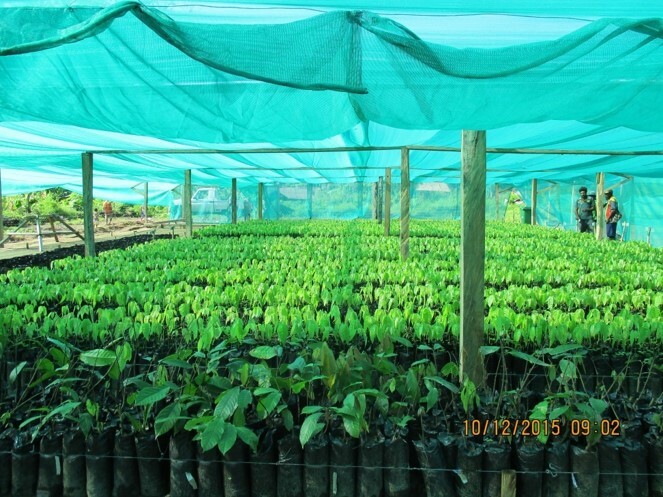 Cocoa Board of PNG has planted a total of 614,366 cocoa seedlings through its nursery program since the program began in 2014. Planting is still progressing well in the country with a target of 1 million cocoa seedlings to be planted for each cocoa growing districts.